If you or someone you know has ever suffered with visual or ocular migraines, then you need to read this life-saving information to make sure you never cause yourself to have one again! As a chiropractor, I consult with patients who describe getting a painless “headache” where they lose their vision. It seems like a paradox to get a headache that isn’t painful though! Patients who experience blindness should rule out stroke, infection or tumor. But with some prevention and a handy antidote, hopefully you will never need to go to the Emergency Room again for losing your vision due to an ocular or visual migraine. 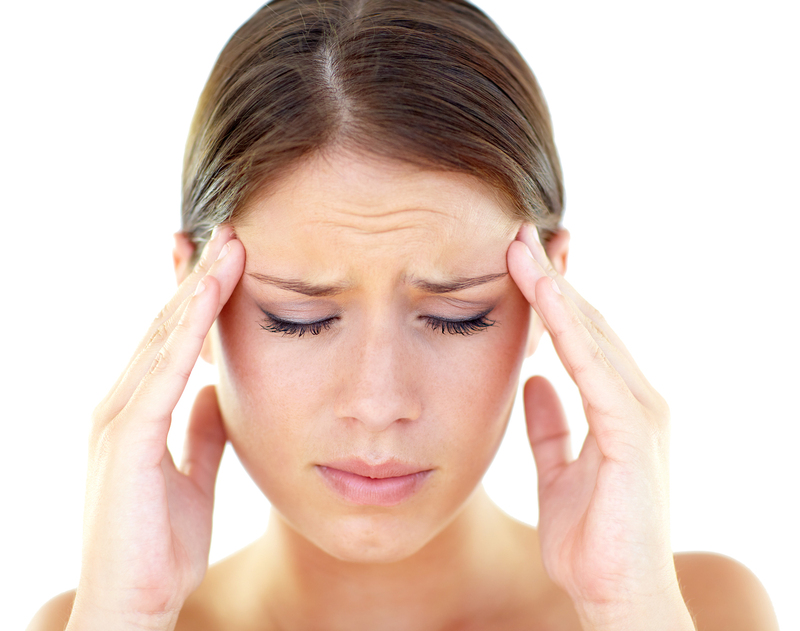 Have you been told to stop eating chocolate, cheese and foods with nitrites but it doesn’t help you with your painless “headache” that causes you to lose your vision? But were you ever told to avoid diet drinks, soup, salad dressings, sauces, gravy, cream sauces, steak sauces, gourmet foods or chips? Because a very basic chemical that is added to food to make it taste good or cut down on calories is HIGHLY toxic to nerve endings–aspartame, MSG and MSG-derivatives like autolyzed yeast extract, hydrolyzed vegetable protein, caesinate etc. This class of food chemicals is called “excitotoxins”. They “excite nerve endings to death” is what “excitotoxin” literally means. But could food like that cause a migraine? It has been known since 1957 that MSG causes damage to the retinal nerves in mice. (1) And humans are five times more sensitive to MSG than mice are. In 1957, ophthalmology students studying eye disorders gave newborn mice MSG and discovered it caused widespread destruction in the inner layer of the retinal nerve. Adult mice also exhibited destruction, but not to the degree as the infant mice. For 10 years prior to the study large amounts of MSG were being added to adult food AND baby food, in the same quantities used in the study for mice which is why the study was being done. A similar study by Dr. Olney in 1969 showed the same results but also showed widespread destruction of nerves to the hypothalamus and surrounding areas of the brain(2). Thanks to his efforts, food manufacturers began voluntarily removing MSG additives from baby food since infant nervous systems are four times more sensitive to MSG than adults. So how does this affect your visual migraine? Patients I have consulted with were either gluten intolerant OR drinking diet soft drinks regularly. One patient in particular was very stubborn about giving up Diet Pepsi. I had nagged her on and off for some time about it. Then at an appointment, she told me about going blind and that it was called an ocular migraine, or a visual migraine. She didn’t have any pain, but couldn’t see and that it was very frightening! She was only 40 and very healthy, not overweight, not a smoker, not a stroke candidate, didn’t have high blood pressure, very active with golfing and skiing and biking. At the hospital they did EVERY test imaginable including a PET scan to rule out stroke or any cardiovascular problem. They found NOTHING wrong. The vision eventually returned. On her own she did some research and saw that aspartame could cause such a problem. At that time I didn’t realize how frightening of symptoms excitotoxins could cause—I didn’t know about it causing blindness! So my patient quit diet sodas and also started to use the excitotoxin-neutralizer we offer in our office called Complete Glutathione. The formula for it was taken from Dr. Russell Blaylock, MD’s research in the book, The Taste That Kills. It is manufactured by Nutriwest. The patient faithfully continued taking Complete Glutathione and abstained from any aspartame. And she didn’t have any recurrence of the “visual migraine”. My babysitter would get a similar phenomenon. Only hers have quit since eliminating gluten from her diet. It is likely the gluten is similar enough to glutamate to create a similar effect in the brain. Or what is even more likely is foods with gluten also contain some amount of MSG. Dr. Blaylock is the “Father” of uncovering and distributing information on the toxic, disease-causing effects of MSG, aspartame and their derivatives and has extensive references and chemical explanations in his book that are too technical for this arena. But if you are needing further explanation for yourself, your doctor or for a research paper, his podcast and his book, The Taste That Kills, are invaluable. His book is chalked full of references that span decades of evidence pointing out the damaging effects of MSG and aspartame. Most neurodegenerative diseases like ALS, Parkinson’s, Alzheimers, epilepsy, ADD, autism, cerebral palsy and Huntington’s disease are referenced in his materials and can be prevented by abstaining from excitotoxins and protecting yourself from accidental exposure with the nutrients in Complete Glutathione like n-acetyl cysteine, magnesium and manganese. By reading labels and eliminating foods with the following ingredients, I believe you will be well on your way to reducing the frequency of visual or ocular migraines, as long as stroke, infection or tumor has been ruled out. Depending on how sensitive or how frequently or severe your visual or ocular migraines are, be aware of the “aliases” that are frequently in packaged food. hydrolyzed protein, plant protein extract, calcium caesinate, textured protein, hydrolyzed oat flour, hydrolyzed vegetable protein, hydrolyzed plant protein, sodium caseinate, yeast extract and autolyzed yeast. malt extract, bouillon stock, natural flavoring, seasoning, broth, beef or chicken flavoring, spices. carrageenan, soy protein, whey protein, enzymes. Another use I have seen for Complete Glutathione is for toxic chemicals like red dye. I don’t know exactly what is in red dye, but a patient who claimed to be allergic to it, accidentally ingested some on a day I saw her for her appointment. She had the headache all day and was going to take some over-the-counter medication for it when she got home. I advised her to try the Complete Glutathione instead and it knocked it out. And Dr. Blaylock himself never eats the sauces or creams on foods in restaurants because they are always laden with something to make the flavor “pop”. Be PARTICULARLY vigilant when you eat out. My PERSONAL observation is that most chain restaurants use an intolerable amount of MSG-derivatives and I will not eat there if I have had a bad reaction. Local, non-chain restaurants are more likely to use fresh ingredients and make creative dishes that are interesting and tasty on their own accord. Chain restaurants are more likely to ship in pre-made food coated with chemicals to improve the flavor. Also, to protect yourself, I cannot recommend Complete Glutathione strongly enough. One time I got a gas station coffee and it wasn’t labeled as “sugar free”. But it clearly was a sugar-free coffee because within the hour I was in a horrible fog. It was difficult to concentrate at the seminar I went to and I had difficulty concentrating on the road when I drove home. I took Complete Glutathione when I got home and within the hour I was back to normal. It was incredible that one dose would leave a person feeling that way for hours. And I had quit aspartame-containing products for many years at that point. I shudder to think how it affects people who drink it daily or multiple times a day! If you are prone ocular or visual migraines, keep this potent vitamin handy as an antidote. Don’t rely on Advil or Tylenol which won’t counteract excitotoxins–and go forward without “exciting” visual or ocular migraines anymore. (1) Lucas DR and Newhouse JP. The toxic effect of sodium L-glutamate on the inner layer of the retina. Arch Opthalmol 58: 193-201, 1957. (2) Olney JW. Brain lesions, obesity, and other disturbances in mice treated with monosodium glutamate. Science 165: 719-721, 1969. Russell Blaylock is the authority on MSG, aspartame and excitotoxicity—exciting nerves to death with acidic amino acids.